Most websites’ answers were a resounding, seemingly obvious “no.” Go ahead, laugh at my naivety all you want, but after spending most of my life in the Midwest where recreational marijuana legalization seems to be a far-off pipe dream, I honestly didn’t have a clue. Nor did I think it was a question I would ever have the opportunity to ask. Sure, I knew I could just buy whatever I wanted when I arrived in Portland, but after spending money on plane tickets, a few nights’ stay in a hostel, and knowing I had other pending expenses ahead, I didn’t want to drop even more cash on something I already had – legally. This is also illegal in the eyes of the (federal) law which governs airports, and you don’t want to mess with the random searches that TSA conducts. 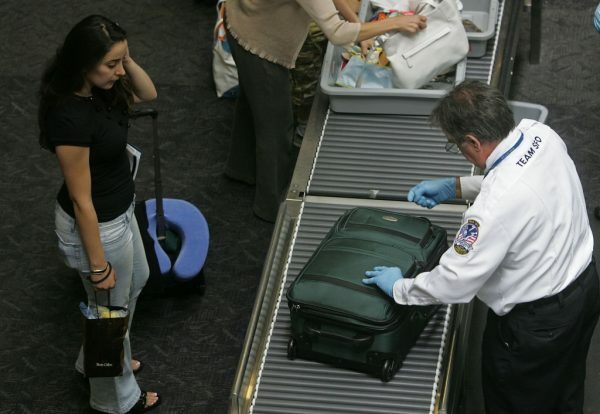 Still, the searches there prioritize heavy metal objects and bottles full of liquid – frequent suspicious objects that call for further inspection again, for security reasons.